Got the mud season blues? 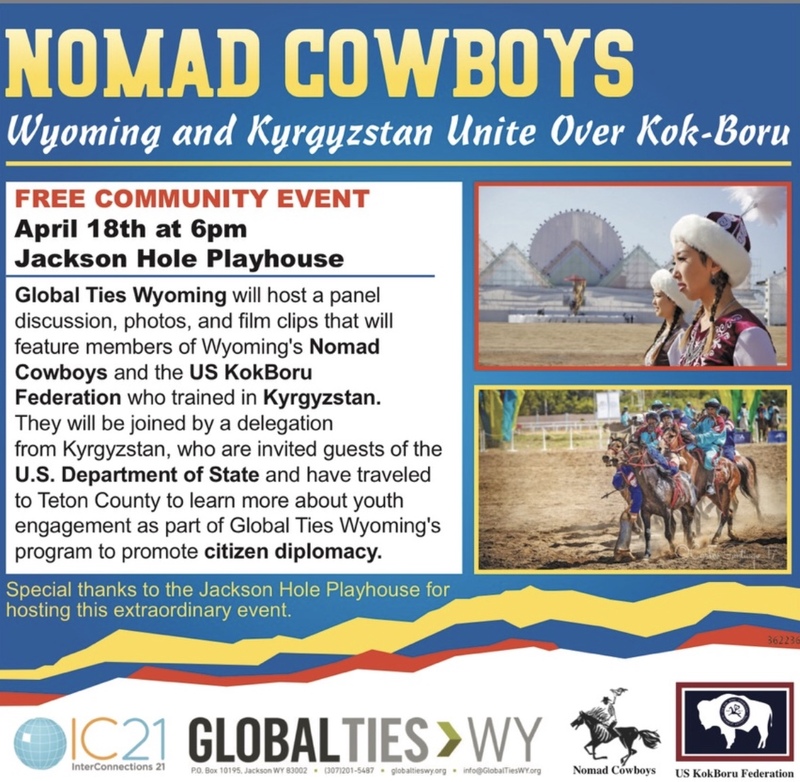 Join us for another opportunity to learn about Jackson Hole’s extensive global connections! 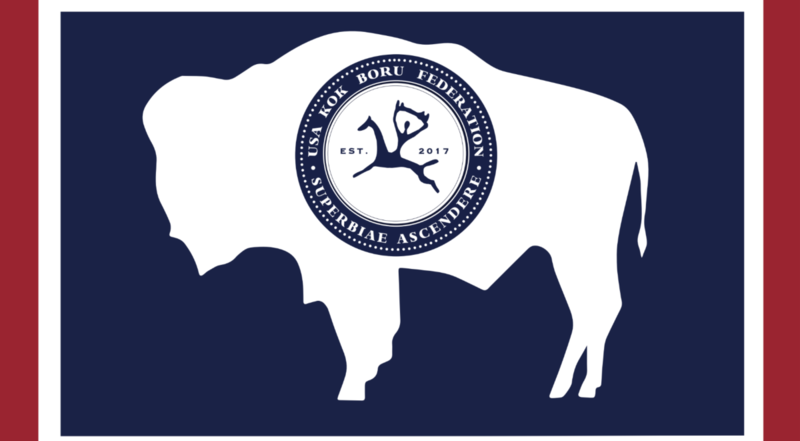 InterConnections 21 is collaborating with Global Ties WY to welcome a delegation from Kyrgyzstan to JH from April 17 – 23, 2019. The delegation, invited by the U.S. State Department, will meet with local students and organizations to discuss youth leadership and civic engagement. At 6:00 pm on Thursday, April 18, the Kyrgyz delegation will be on hand for a special evening of cross-cultural celebration. All are invited to attend a panel discussion and video presentation from the upcoming film about Wyoming’s Nomad Cowboys. Find out more about the local team, led by team captain Creed Garnick, that traveled to compete on horseback in the Central Asian sport of Kok-Boru at the recent World Nomad Games and World Expo. Invited by the U.S. Embassy in Kyrgyzstan, the Wyoming cowboys found diplomatic ties through the Kyrgyz nomadic horse culture while playing this intense ancient sport.